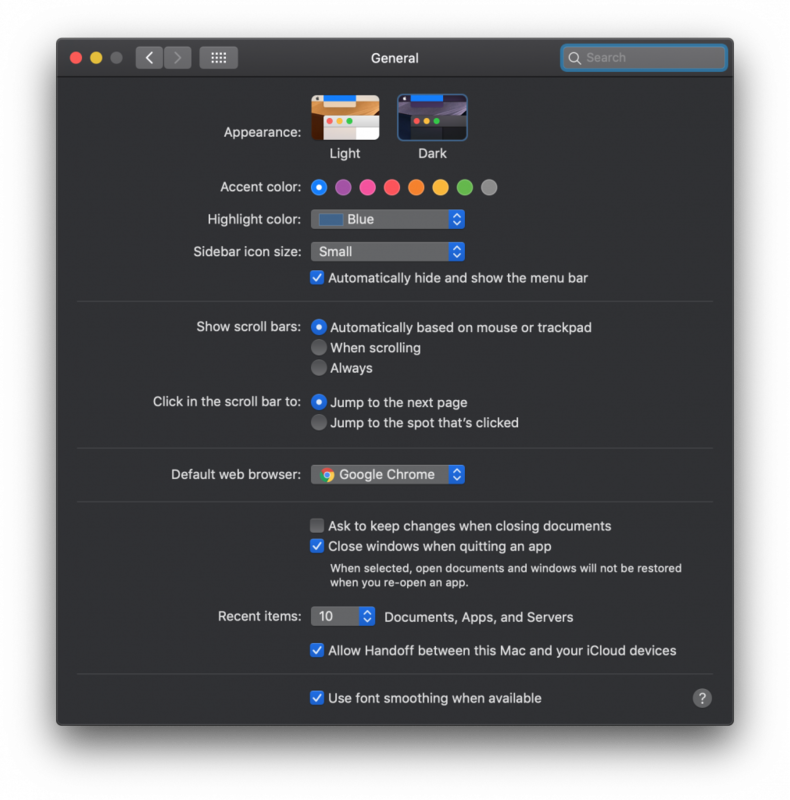 Our team has been working on ways to bring you the best of what Mojave has to offer, and today we’re happy to introduce you to mSecure’s new Dark Mode! For some, darker themes are purely about the aesthetics: apps look better to them with a darker look and feel. For others, a Dark Mode is more about functionality. When light is fading, a darker theme is better for our eyes, so being able to change from light mode to dark mode on a system-wide basis is a welcome addition to their Mac. Before you can experience mSecure’s Dark Mode, you will need to upgrade to macOS Mojave. You will also need to upgrade to mSecure 5.6. While this new version of mSecure will run on older versions of macOS, Dark Mode is only supported in Mojave. Next, you will need to switch to Dark Mode in your Mac’s Preferences. Open the Preference app, click General, then click the dark image at the top of the window and you will see your Mac change from the Light to Dark Mode. This is a system-wide change, so at this point, all of your apps that support Mojave’s Dark Mode feature will now be displayed with a dark theme.